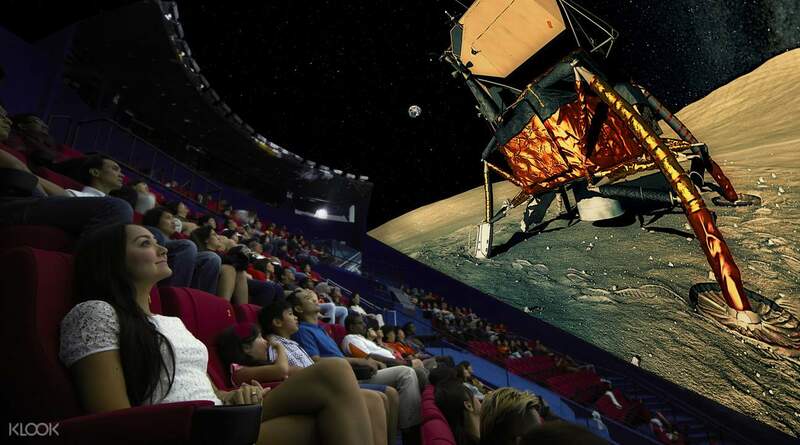 Learn about science & tech and see a 8K digital movie! Learn about the origins of our modern technology at the new Inventions of Ancient Greece exhibition, only available for a limited period of time! Choose the perfect time to visit with these open dated vouchers! 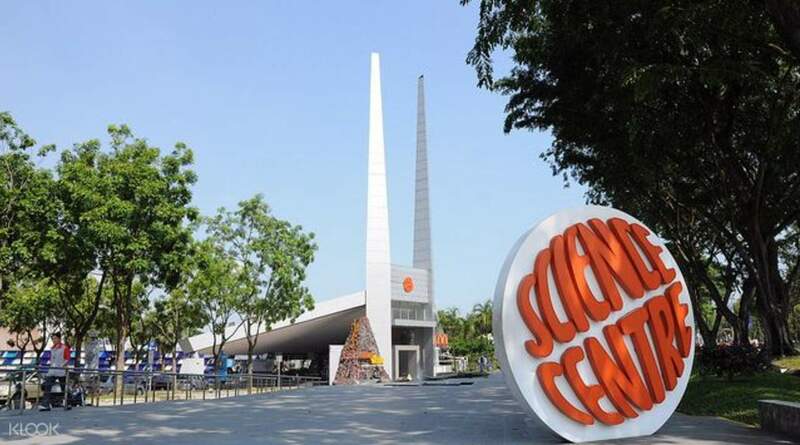 A visit to the Science Centre is a fun and educational Singapore activity for the whole family. 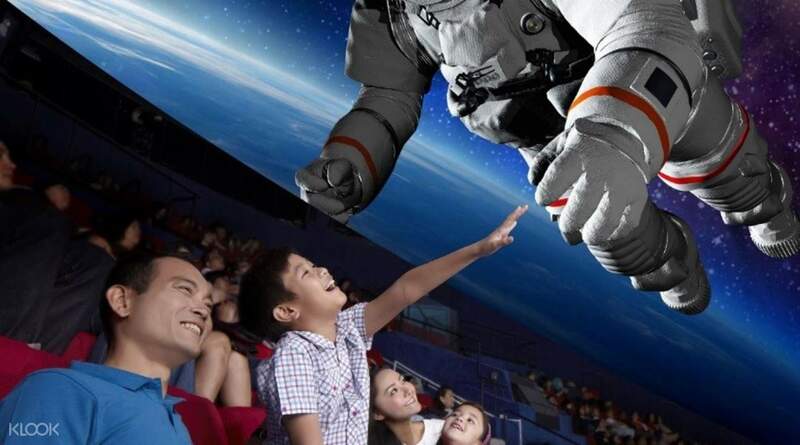 Start off by broadening your horizons at the Science Centre and then reward yourselves with a movie at Singapore Omni Theatre — an observatory and 8k digital full dome cinema located right in the Science Centre Singapore. You can spend the day relaxed and entertained, with your kids learning about interesting and educational scientific discoveries. 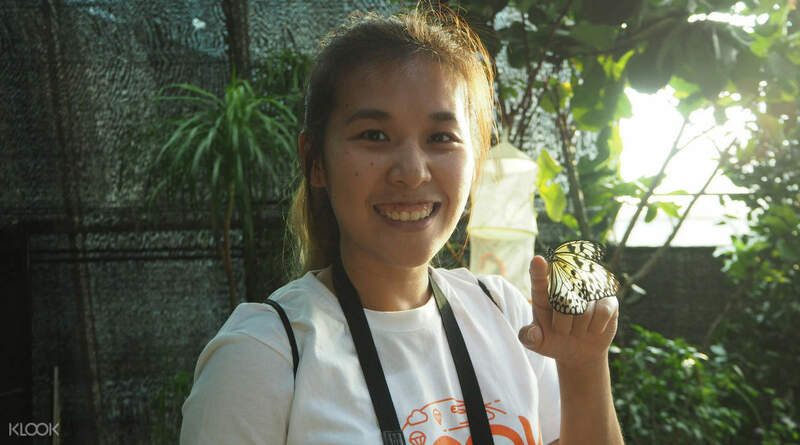 In addition to this experience, you will also enjoy stepping into Butterflies Up-Close, Singapore's first and only indoor butterfly enclosure. This brilliant world of fluttering, delicate butterflies allows you to gain a deeper insight into the life of a butterfly and its journey from caterpillar to a beautiful butterfly. Opt to visit Singapore's first and only indoor butterfly farm - the Butterflies Up-Close! The science center is good place to visit. You should have 3-4 hour to visit there. It far from my place. I got there in the afternoon 4.00pm. It closed at 6.00 pm. I can’t finish see all interesting thing in there.Thank you Clook . The science center is good place to visit. You should have 3-4 hour to visit there. It far from my place. I got there in the afternoon 4.00pm. It closed at 6.00 pm. I can’t finish see all interesting thing in there.Thank you Clook . *Late Review* Date of Actual Visit: September 28, 2018 One of the few regrets I had when I visited SG last year was that I didn't come here earlier. This is one of the BEST places for me so I really regretted not spending enough time here. The next time I go back to SG, I'll make this my top priority. The ticket I bought from Klook included the Omni Theater and the Butterflies attraction, but due to lack of time, I was unable to go to all the attractions. I was able to experience watching the Northern Lights in the Omni Theater though, and it was an absolutely surreal experience. The hairs on my arms actually stood up on end because it was so beautiful and felt so real to me. 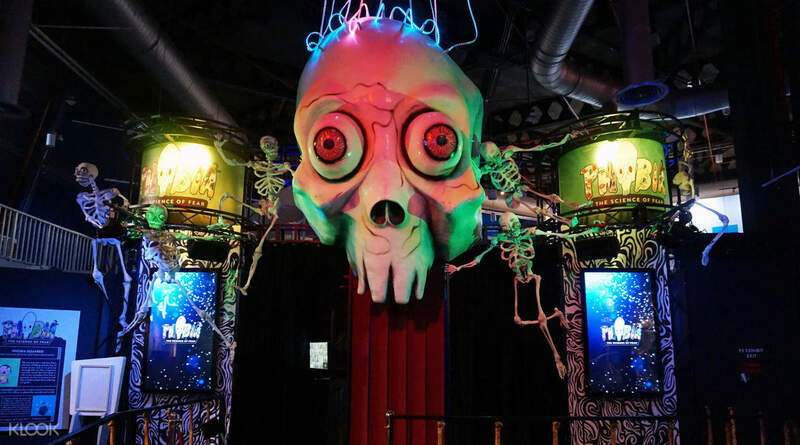 As for the other attractions, I was only able to go to two- a mirror maze and the phobia exhibit, both of which are pretty scary if you decide to visit near closing time when there are no other visitors around. I got the shock of my life when I went to the Phobia exhibit in particular because I came there expecting to just read and learn. Instead, it was actually quite interactive and a bit like a haunted house. Kudos to the ones behind the exhibit. I was really impressed (and happy I survived 😂) I was able to glance at other exhibits on the way out and felt deep regret for not spending the whole day there because I would have thoroughly enjoyed that place. I'll make sure to purchase this again from Klook the next time I visit. It's very affordable and hassle-free after all. *Late Review* Date of Actual Visit: September 28, 2018 One of the few regrets I had when I visited SG last year was that I didn't come here earlier. This is one of the BEST places for me so I really regretted not spending enough time here. The next time I go back to SG, I'll make this my top priority. The ticket I bought from Klook included the Omni Theater and the Butterflies attraction, but due to lack of time, I was unable to go to all the attractions. I was able to experience watching the Northern Lights in the Omni Theater though, and it was an absolutely surreal experience. The hairs on my arms actually stood up on end because it was so beautiful and felt so real to me. As for the other attractions, I was only able to go to two- a mirror maze and the phobia exhibit, both of which are pretty scary if you decide to visit near closing time when there are no other visitors around. I got the shock of my life when I went to the Phobia exhibit in particular because I came there expecting to just read and learn. Instead, it was actually quite interactive and a bit like a haunted house. Kudos to the ones behind the exhibit. I was really impressed (and happy I survived 😂) I was able to glance at other exhibits on the way out and felt deep regret for not spending the whole day there because I would have thoroughly enjoyed that place. I'll make sure to purchase this again from Klook the next time I visit. It's very affordable and hassle-free after all. The Science Centre was lots of fun. Our 3-year old most enjoyed the Tinkering Shop, and was fascinated with the mirror maze, Tesla coil show and Fire Tornado show. We also loved the funny Science show with balloons and the various science illusions. The Science Centre was lots of fun. Our 3-year old most enjoyed the Tinkering Shop, and was fascinated with the mirror maze, Tesla coil show and Fire Tornado show. We also loved the funny Science show with balloons and the various science illusions. The got a new Ancient Greece exhibitions. It is very nice and have many things to explore. The also get you a nice photobooth and many activities about ancient greece. Recommended place to learn and play. The got a new Ancient Greece exhibitions. It is very nice and have many things to explore. The also get you a nice photobooth and many activities about ancient greece. Recommended place to learn and play. my 11 years old daughter is having a lot of fun in the science centre n butterflies up close inside. we family's is having a good bond together. she want to attend all the activities till 6pm we left. my 11 years old daughter is having a lot of fun in the science centre n butterflies up close inside. we family's is having a good bond together. she want to attend all the activities till 6pm we left. Had a pretty fun experience, although the whole centre is geared more towards the younger generation. The Ancient Greek section had some very unique artifacts, but the descriptions alongside were often too wordy. Had a pretty fun experience, although the whole centre is geared more towards the younger generation. The Ancient Greek section had some very unique artifacts, but the descriptions alongside were often too wordy. Science centre Singapore is an amazing experience, especially if you have some kids (any age group) accompany you. It’s a wonderful family outing. So much to learn and such a nice layout to move around. Science centre Singapore is an amazing experience, especially if you have some kids (any age group) accompany you. It’s a wonderful family outing. So much to learn and such a nice layout to move around. It was a nice experience for that day to science centre. It was my first time booking a 3-in-1 excursion with a great price. I love it and will definitely book with Klook again. It's good for a family day out. It was a nice experience for that day to science centre. It was my first time booking a 3-in-1 excursion with a great price. I love it and will definitely book with Klook again. It's good for a family day out. The omimax movie about space development was a little boring for my 5 year old. But my 6 yr old boy enjoyed it. The exhibits at the science centre were in teresting for the boys, interactive and loads of fun. Make sure to go for the shows if u can catch them. Can easily spend a full day there. The omimax movie about space development was a little boring for my 5 year old. But my 6 yr old boy enjoyed it. The exhibits at the science centre were in teresting for the boys, interactive and loads of fun. Make sure to go for the shows if u can catch them. Can easily spend a full day there. Staff was friendly! And my boyfriend absolutely enjoyed this couple date idea! I told him that i was bringing him to a secret movie screening - Aurora (Light of wonder). It really beautiful and a difference experience from normal movie. We also visited the different activities that is going on and had many fun with all the interaction. Oh! 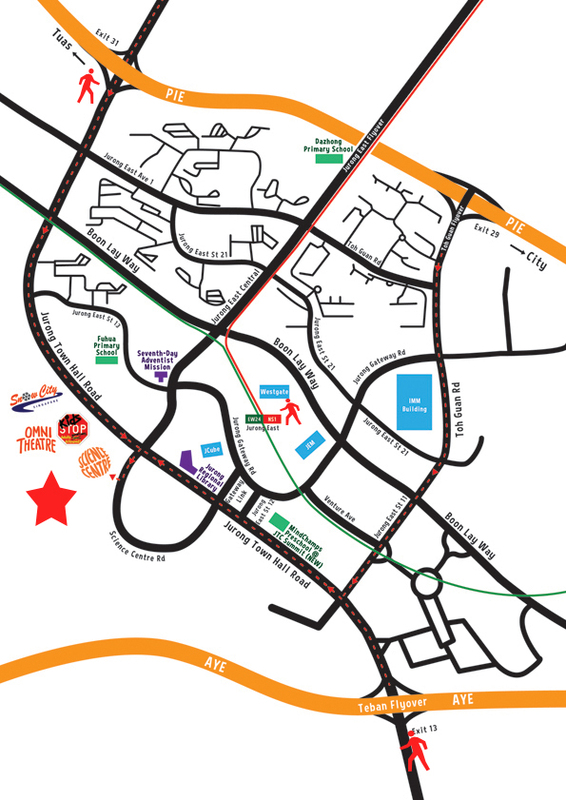 And you should visit the Bufferfly Garden since purchasing ticket here is way cheaper! (It’s additional $10 to visit the butterfly if u buy ticket from the centre itself). It’s really worthwhile to purchase ticket through klook! So happy that i did! Staff was friendly! And my boyfriend absolutely enjoyed this couple date idea! I told him that i was bringing him to a secret movie screening - Aurora (Light of wonder). It really beautiful and a difference experience from normal movie. We also visited the different activities that is going on and had many fun with all the interaction. Oh! And you should visit the Bufferfly Garden since purchasing ticket here is way cheaper! (It’s additional $10 to visit the butterfly if u buy ticket from the centre itself). It’s really worthwhile to purchase ticket through klook! So happy that i did!